Hello and welcome to yet another Avengers movie. Yes, a movie with almost all the Avengers plus some new additions, but I won’t spoil them for you (#spidermanisback). Can we now stop pretending this is a Captain America movie? Thank you. This movie kicks off with the kind of “show your muscles” action scenes, which we expect to see in these movies, right from the beginning. We see that Captain America, Black Widow, Scarlet Witch and Falcon are on stakeout to catch a bad guy. As usual it all ends in major destruction and collateral damage, many innocent people being hurt and killed in the process. This kind of situation is starting to be seriously debated, probably for the first time during this series, and now the UN wants to keep an eye on the Avengers and regulate their activities. The Sokovia Accords are written and it basically says that the Avengers won’t be able to take any action without the UN giving their approval. This splits the team in two as some of them lean towards signing the accords rather than being kicked out, agreeing to still remain at the talks table in order to at least be kept in the loop. Even Tony Stark/Iron Man agrees. Who would’ve thought he, of them all, would be compliant? But Captain America definitely doesn’t want to sign such a deal and nothing can change his mind. Cap’s best friend Bucky/Winter Soldier is back into the spotlight because it is believed that he bombed the UN headquarters where the Sokovia Accords were to be signed on the same day. So Captain America is on a mission to find him, along with everyone else. But he wants to know the truth and also protect his best friend as opposed to others. Not all Avengers are on his side, half of the team not being so keen to accept Bucky’s presumption of innocence. Which all brings us to the big confrontation of old and new Avengers split into two teams: Team Captain America and Team Iron Man. That’s not all there is to the plot. I’m not giving away why Captain America and Iron Man actually fight against each other, but I will admit it was a smart way to thicken the plot and loosen a friendship that was shaky to begin with. For that, you’ll have to either watch the movie or look for the big spoiler somewhere else. 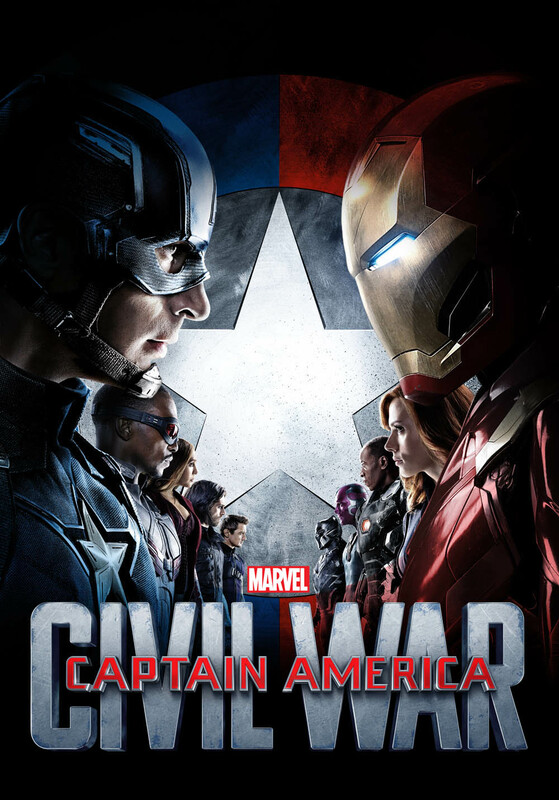 This movie gathers some of our favorite Avengers, with a few surprises, delivering plenty of entertainment, action and humor that make this series even better and the characters even more likable. Squad goals, am I right? Romanians will be pleased to see that the character of Bucky/Winter Soldier embraces its actor’s roots, as Sebastian Stan was born in Romania. The movie’s action also follows Bucky in his home country, moment when many viewers showed their excitement in the cinema. All in all, I think the movie is good fun and I like the fact that it brings new dimensions to the characters and storyline besides the “we have to save the world from a bad guy” one. Which team are you on? Team Iron Man or Team Captain America? I saw it with a very political view at the end. Nobody was right or wrong, each point of view was actually good. The movie presented a very good idea of what are the consequences of a superhero, how that can be viewed by humanity, how humanity wants control over everything it sees and how that can go wrong, or what are the hidden aspects that you never can predict or cover with regular planning. Like the true reason why bucky was worried about and why capt america was fighting for, like knowing the full story before actually doing something, no matter how high you are in the decision making chain. Sure, it was a fun, entertaining superhero movie, with action, adventure, special features, easter eggs, future plans in progress. It did not have a wow conclusion to me as a whole, or as a superhero movie, guess I watched too many trailers and I ruined some surprises for me. Got to stop doing that!